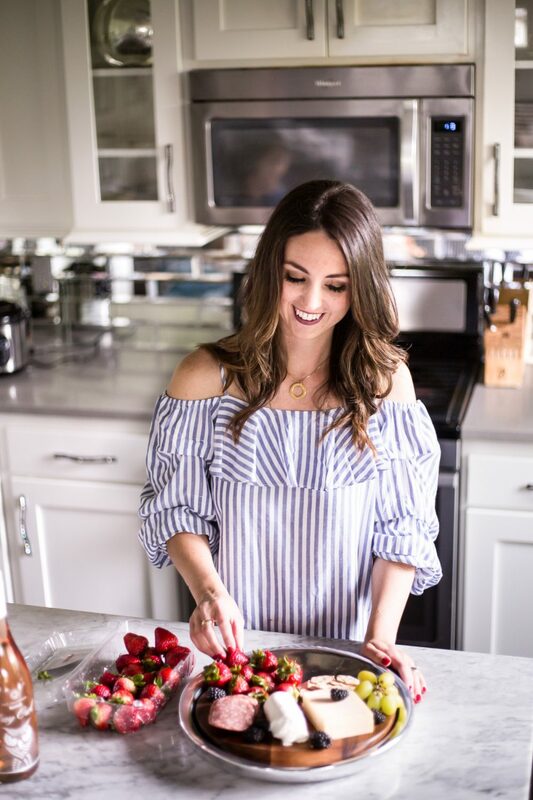 It’s time for a little kitchen update! As many of you know, I’m in the middle of a big kitchen makeover project. Everything is getting a makeover and we are slowly but surely making progress. Right now I’m in the middle of painting all the cabinets white and it’s already looking SO much brighter and fresher. 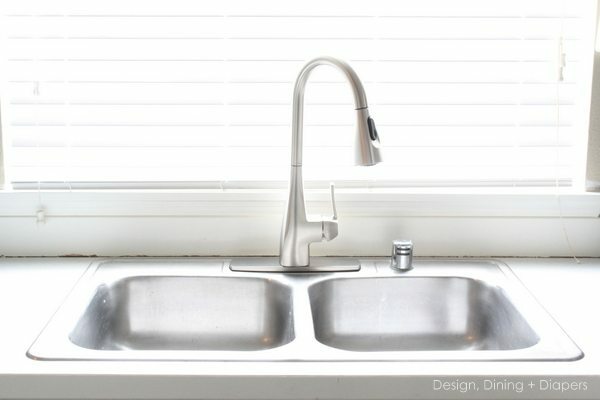 And this week we installed a brand new Kiran Spot Resist one-handle pulldown kitchen faucet. The good news, it is absolutely stunning and I’m in love, the bad news, now I want a new sink to match :) It is seriously amazing what a little paint and a new kitchen faucet can do for a kitchen. Here is a little peek at how it looked when we started the kitchen makeover and how it looks today. So fresh! 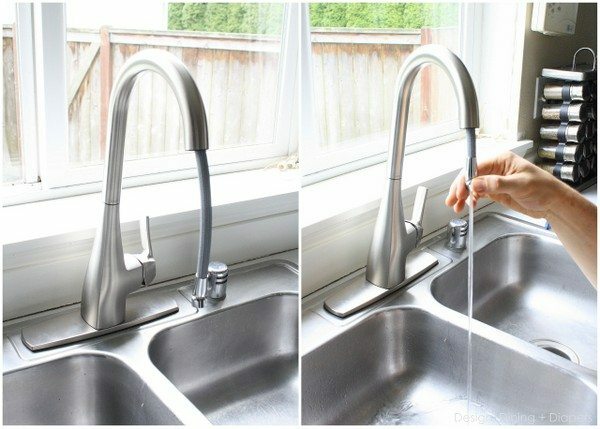 Today I’m installing a new Moen faucet and taking you through the steps! 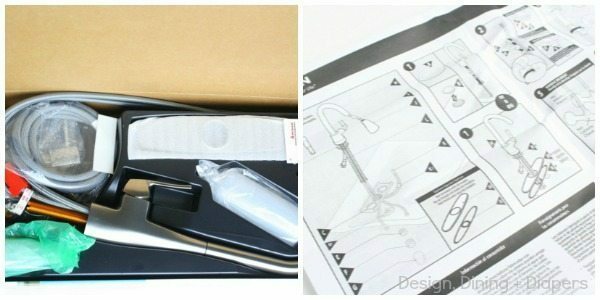 The Moen Kiran Faucet was packaged really neatly so it was easy to survey all of the parts and get started. By using the included directions it was extremely easy to install. It only took us about 20 minutes to put the new faucet on. 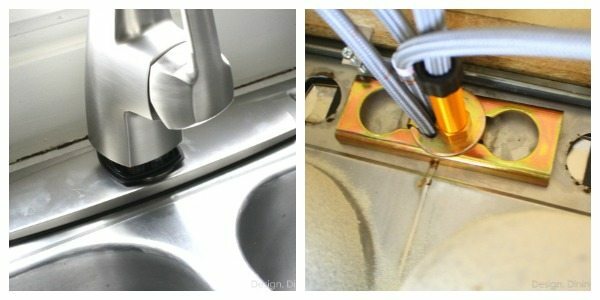 We started with a basic builder’s grade Moen Kitchen Faucet. Our house was built in 1997 and the faucet had never been taken off. Which means it was really stuck on there. Removing the old kitchen faucet was by far the hardest part of the project for us. It was so corroded that it was hard to find the bolts to unscrew it. We were actually seconds away from removing the entire sink so we could see the nuts and bolts better when my husband hit the jackpot and was able to remove it. (and please disregard the dark seam, I still need to caulk after the new paint job!) Once we had a clean slate, the rest was easy peasy. 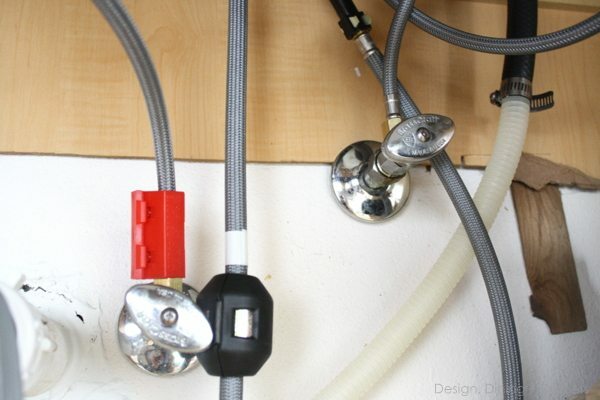 By following the directions included in the box, we stacked together the faucet base, rubber sealers and the faucet and then I held them in place while my husband screwed in the bolts underneath and connected the hot and cold water hoses. (this really is a two person job). Then we threaded the hose through and secured it to the base. Like the directions said, we let the water run for about 15 seconds and then we were ready to put on the sprayer. And we are ready to roll! Here is what the underneath looks like with the hot and cold water hoses and the weight. 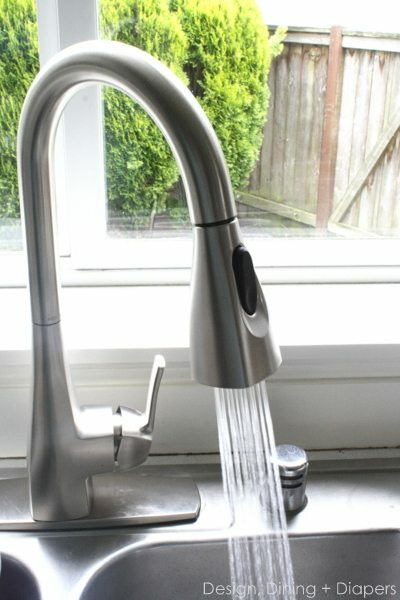 I am obsessed with my new Moen Kiran Faucet. The stainless steel finish is not only gorgeous but is also spot and fingerprint resistant. It also has a high arch design and pulldown sprayer that allows for flexible movement and better reach. Can you tell I love it? If you would like to purchase your own, they run about $250 and can be purchased at Lowes. 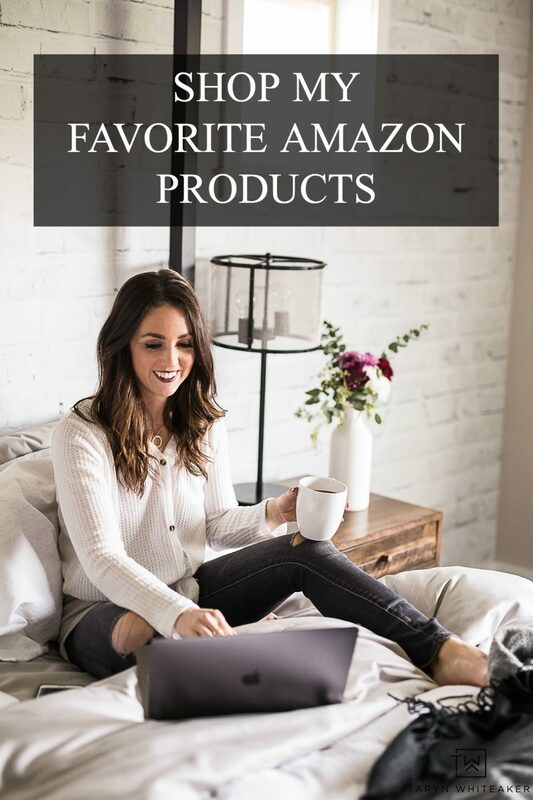 You can also keep up with all of their latest products by following their Facebook page. 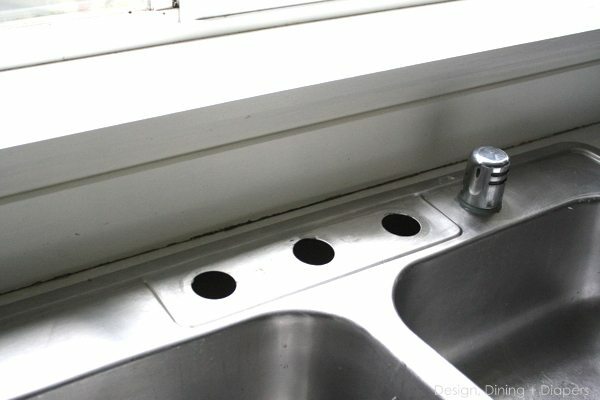 My hubby installed a faucet that is VERY similar to this one in our kitchen a little over a year ago. WE LOVE IT! 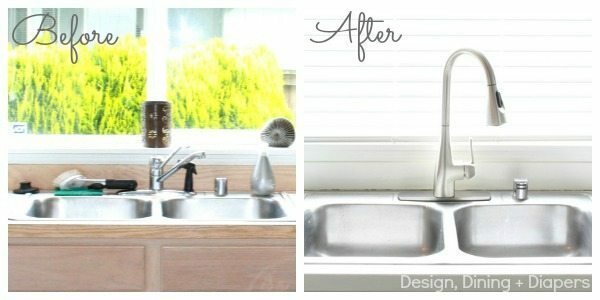 Its just so much more flexible than our old faucet… I promise you, you will love it!